OM INTERNATIONAL is one of the most successful International Student recruitment companies in the world today. OM INTERNATIONAL helps thousand of student every year to pursue higher education overseas. Motivated by our core values 'ethics, expertise and leadership', we are one of the most trusted names in the field of overseas education. Om International offer students a choice of thousands of courses at various leading educational institutions in Australia, Canada, New Zealand, United Kingdom and United States of America. With 17 year of experience, world class infrastructure and stat of art technology, you can expect the best from us. We are committed to our customer centric philosophy. Om International task is to help our clients achieve their goals by providing them world class customer services that is both reliable and competitively superior. 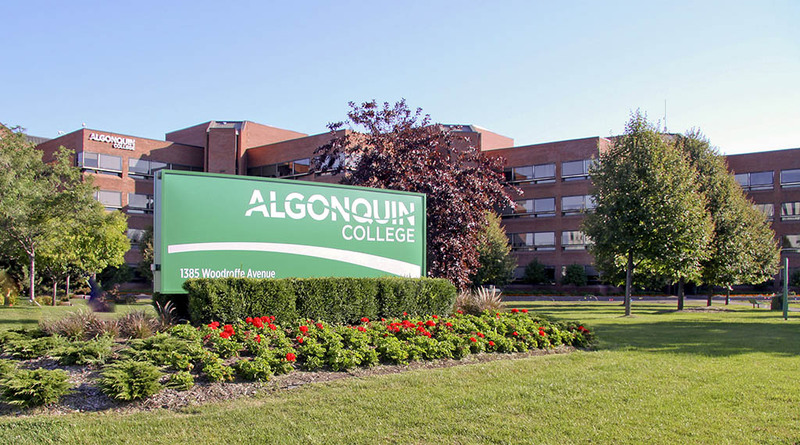 As one of Canada's largest colleges, with more than 22,000 full time students and over 175 programs, Algonquin College offer you an experience like no other. Personalized learning, industry-ready skills thorough fieldwork, work-placements and co-op with dedicated support and resources to you, from application to graduation. Algonquin College is recognized Internationally for its modern facilities, use of green technologies and the academic achievements of its students. As one of the top research colleges in Canada, our Applied Research and Innovation Center work with various business leaders on research projects that provide solution to industry and community partners. e-Textbooks allow you to have your books on your digital devices with lifetime access. Career oriented programs and industry-based curriculum. Entrepreneurship center (Ignite AC) guides students who would like to start their own business. Applied Research and Innovation gives you the opportunity to work with real clients on industry developments in your field. Voted by students the number-one city to study in the world*, Ottawa is vibrant, metropolitan and multicultural. A high standard of living along with a high level of entrepreneur ism, innovation and economic stability make Ottawa a great place to call home. 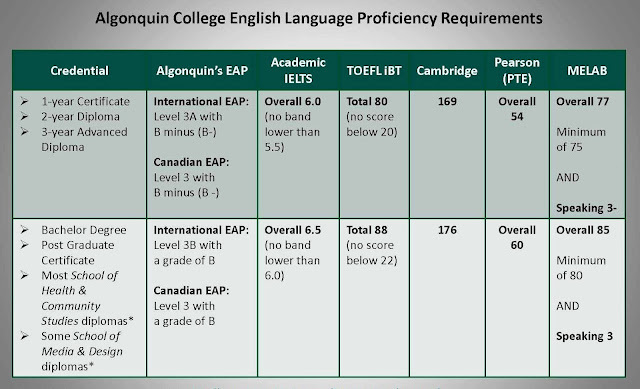 Algonquin College provides a base for all our students during their time in Pembroke, both academically and socially. Here you can find about accommodation for undergraduate and graduates, our on-site catering facilities including meals in Hall and the popular Farthings cafe, welfare provision and careers guidance in College, student clubs and societies and sources of funding and special opportunities only available at Algonquin. The heritage downtown core of today's Perth consists of boutiques, specialty shops and restaurants crafts, antiques and flea market, and summer Farmers' and Craft Markets. Most of these operate out of the century-old stone buildings in town. An interesting feature of the downtown core is the Crystal Place, constructed from the discarded remnants of the glass street enclosures that used to be on Rideau Street in nearby Ottawa. Make the perfect choice for your lifestyle and education needs. We will help get you to the right path. These programs develop the level of skills and knowledge to help graduates perform a defined range of activities. Programs also engage students in some learning in disciplines outside their main field of study. Diploma programs help prepare you for a specific field of work and include a broad base of study, which enables graduates to pursue various career specialties. These programs helps develop the knowledge, skills, and attitudes to enable graduates to work within a broad range of technical and / or management functions across many occupational disciplines. Employers value the combination of theory and practical hands-on experience. Co-op terms. Outstanding professors. Applied research, Joint programs with Canadian universities. You get the best of both worlds.